So goes the sales pitch that kicks Seconds into high gear. 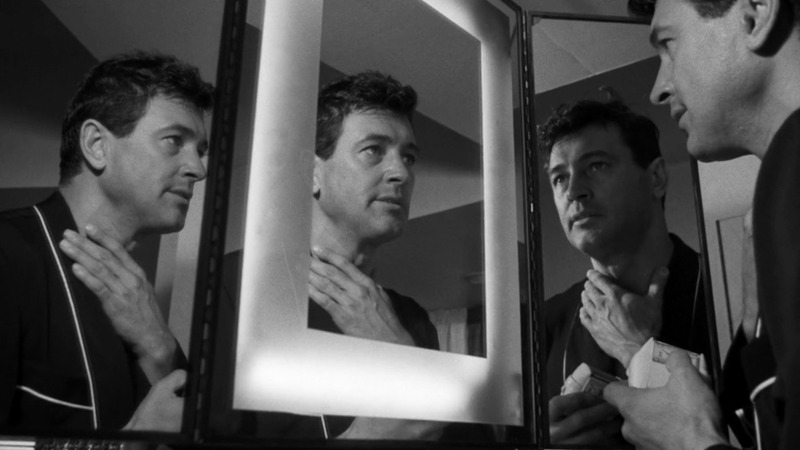 After watching middle-aged, upper-middle-class businessman Arthur Hamilton (John Randolph) navigate mysterious instructions from long-lost friends, meat packers, and dry cleaners, we finally get to the heart of the matter, the thing that he is being lured toward. The program isn’t something you choose, they choose you, whether you’re looking for it or not. You ready to take that mid-life crisis of yours by the horns? Look no further. You can wake up tomorrow with a new face, a new vocation, and a new identity. The only price is...well, everything. 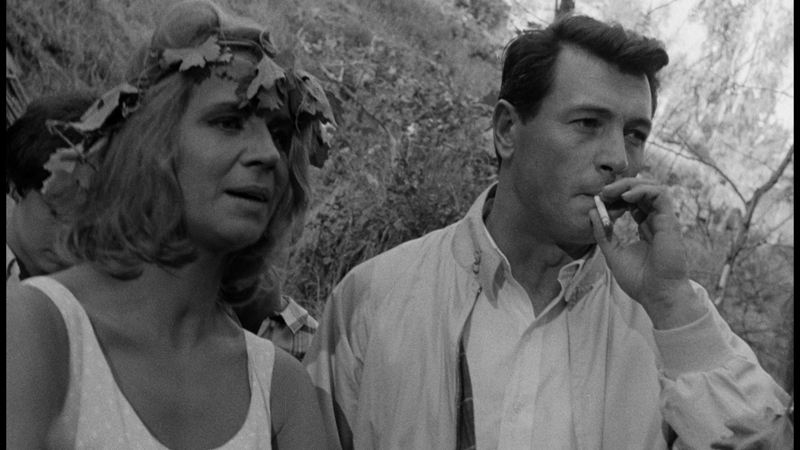 A predecessor to Fincher’s The Game [review], a close cousin to Orson Welles’ The Trial, John Frankenheimer’s 1966 paranoid freak-out is an enigmatic, intriguing hallucination. It hits the ground with both feet and runs like hell, never worrying too much to stop and explain itself, confident the audience will get on board, banking on our wanting to understand what it all means, putting us in our anti-hero’s shoes by never letting us know more than he does. It’s fascinating and weird and strangely prescient. It wouldn’t shock me at all to find out this was Charlie Kaufman’s favorite film as a child. After plastic surgery and rehab, and a complete overhaul of his most telling physical features (new teeth, removed fingerprints, etc. ), Arthur wakes up as Antiochus Wilson (Rock Hudson, Magnificent Obsession [review]), a painter with a beach house in California. It’s a fresh start where the husband and father is now a single swinging bachelor, primed to pursue his art, no matter how impractical; he just has to go along and get along. Which naturally, he can’t. The new Mr. Wilson can’t quite wrap his head around what happened to him, and he starts trying to scratch at the veneer. 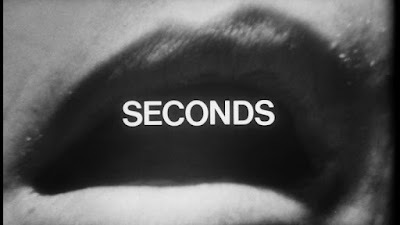 Released at the center of a cultural revolution, Seconds pursues a question of the times: can the past be assimilated into the future? (The present need not apply.) If Arthur Hamilton has bought into the dream of the establishment, living a life of quiet desperation in the suburbs, then he is part of the old guard, one ill prepared for changes to come. Yet, he’s also one with the means to buy his way out. 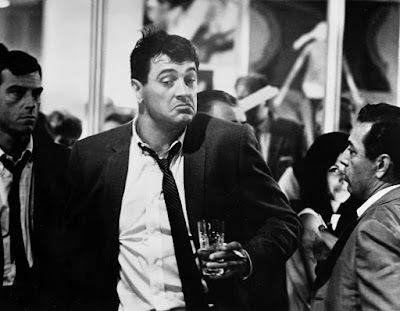 As Wilson, he is set up with a new bohemian lifestyle, free of responsibility, disconnected from cultural change, even if in some ways he is embracing counter culture. The drunken bacchanal that baptizes him as a member of his new community is at once a throwback to the orgies of Rome and a reflection of the Free Love 1960s. Yet it’s false, the whole experience is, which is what Wilson can’t accept. His partying is a bit like Roger Sterling’s experiments with LSD on Mad Men: he has stepped beyond the point where he could maybe pull it off. 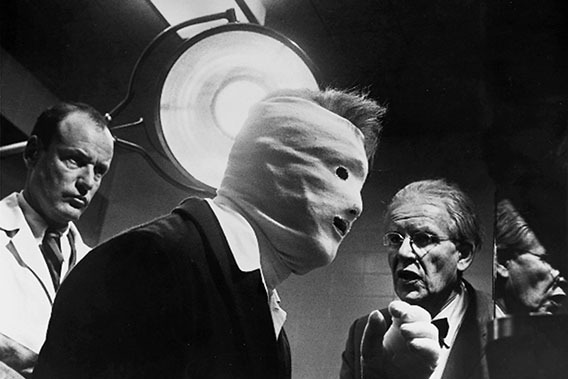 The conundrum here is in which direction Frankenheimer’s critique flows. Is his disdain for the squares or for the hippies? The fact that Seconds exists almost within a void, with little hint as to the time it was actually made, it could be viewed as relevant regardless of where you are standing on the continuum. Wilson could just as easily be any struggling white man trying to outrun obsolescence in 2016. The problem is that once Arthur/Wilson has woken up, as it were, he cannot go back to sleep. You can’t roll back history--even if many today try to pretend them can. To not accept change is to end up back in limbo. In this case, an office job within the program, only escapable by selling someone out to your same fate. To once again invoke Mad Men, Wilson is a little like Don Draper at the end of that series, becoming aware that he must relinquish material things, but in this case, too late to bend this enlightenment to his will or exploit it. Hudson is perfect for the role of the man lost in the construct of himself, perhaps because he knows the pain of living a false identity all to well, having done it for so long in his real life. The restlessness and self-loathing of Wilson grappling with his fraudulent existence is agonizing. Something was lost in the endeavor to have everything. 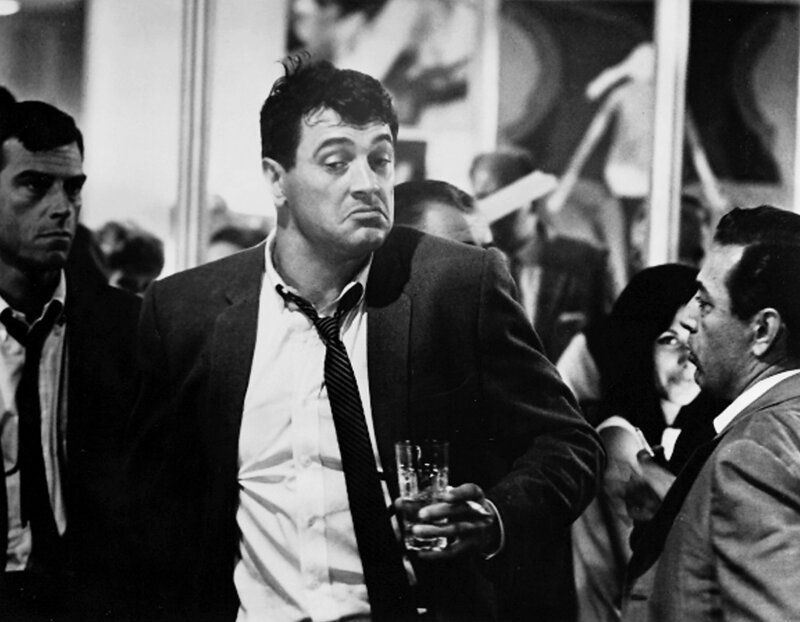 Hudson lends a heaviness to the performance, and when Wilson begins to self-medicate, the actor makes for a very convincing drunk. It’s one of the funniest scenes in a movie full of black humor, and one of the creepiest when the crowd all turn against him. That drunkenness gives way to a tangible despair, and the self-medication turns to literal medication when Wilson returns to the company. They give him pharmaceuticals to keep him pacified. It’s yet another turn that is all too current and relevant, 50 years later. Seconds is nothing if not immediate. 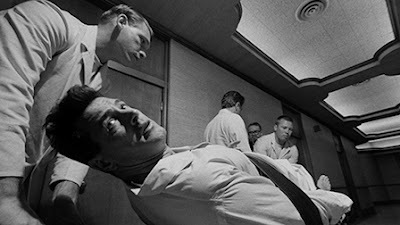 Even how it was shot was intended to make it seem as if it were happening at the exact moment each viewer witnesses it. 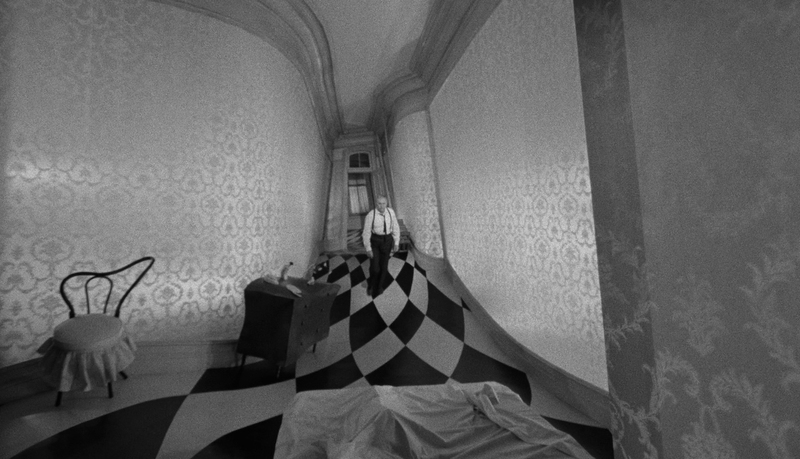 Director of photography James Wong Howe (Sweet Smell of Success) uses a stark photographic style, one with a more realistic, unenhanced look we might expect from more contemporary pictures shot on video or digital. He favors extreme close-ups and even over-the-shoulder moves to put us in the thick of it. 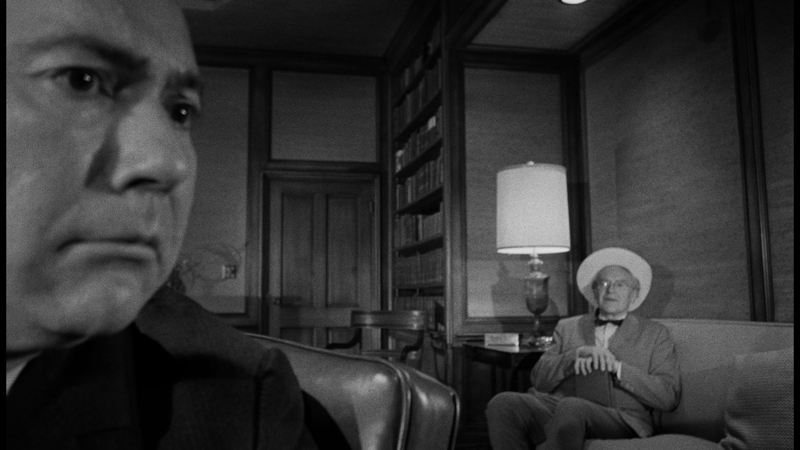 In the various party scenes, the camera practically gets buried in the revels. And when things get weird, reality warps under fish-eye lenses and tricky perspectives, pushing us away at one moment and pulling us in the next, like we are dangling on a spring. There is an intimacy to our participating in the unraveling that keeps us firmly in Wilson’s shoes. We are trapped in the same horror movie as he is, but with the added enhancement of gothic organ music. For Wilson, that is an unanswerable question in the end. He is either/or, neither/nor. He surrendered the identity he spent a lifetime building in exchange for an altogether different, artificial construct, and when he fails to maintain it, that is stripped from him, too. It’s a fairly chilling ouroboros: you have to assimilate in order to be different. It’s the illusion of freedom, and there’s nothing really to be done, the more you push against it, the more it dissipates. So it goes, same as it ever was. THE END. Special thanks to Francis Rizzo III, from whose DVDTalk.com review of the movie I snagged the majority of the above images.